TRANSLATION: Anna Samsonova. Revised by Renée SporreWilles / Original version: (EN). BRIEF HISTORICAL SUMMARY: The Caucasian Shepherd Dog (CSD) is considered to be the breed taking its origin from ancient Caucasian dogs. The breed’s expansion covers territories from the Caucasian Range and the steppe regions of Southern Russia. The evolution of the breed was not only a result of natural selection but also influenced by nations that inhabited the Caucasian Region. Historically Caucasian Shepherd dogs were used for guarding and safe-keeping of herds, flocks and dwellings from beasts of prey and predators. The first mention of a large molossoid dogs used by the army of Armenian Tsar Tigran the II dates from the 1 st century BC. Selection work with the breed started in the USSR in the 1920s. Obligatory qualities such as physical power, self-confidence, fearlessness, sharply developed hearing, good sight, and a dense and waterproof coat have been cultivated in the process of selection. All these qualities as well as endurance allows people to use the Caucasian Shepherd Dogs in all kinds of climatic condition including the most severe ones. HEAD CRANIAL REGION: The head is large, massive, and broad in cheekbones; when viewed from above the head looks like a wedge with broad base. Skull: Massive and broad; forehead is almost flat, with a marked but not deep furrow. Superciliary ridges are developed, but not protruding. Occipital bone inconspicuous. Stop: Noticeable but not clearly marked. Eyes: Moderate size, oval in shape, not too deep set, wide and obliquely placed. The colour is different shades of brown from dark to hazelnut. Eyelids are black, dry and close-fitting. Expression is serious, attentive and inquisitive. NECK: Of medium length, powerful, low set; rounded in the crosssection. BODY: Very well developed in all dimensions; broad, well-muscled and well balanced. Withers: Well pronounced, moderately long. The height at the withers slightly exceeds the height over the rump. Chest: Long, broad, well ribbed up, deep in general as well as in its frontal part; in cross-section has broad-oval shape. Ribs well sprung, false ribs are long. The forechest is marked. Underline and belly: Belly moderately tucked up towards rear. FOREQUARTERS: General appearance: Well muscled. Viewed from the front, straight, parallel forelegs that are set fairly wide apart. Shoulder: Strongly muscled. Moderately long, broad, slanting to form an angle of approximately 100 degrees with the upper arm. The shoulder-blade lies close against the chest. Upper arm: Strong and muscular, close fitting. Elbow: Placed strictly back in parallel axis; turning neither in not out. Forearm: Straight, massive, moderately long, well muscled; rounded in cross-section. Metacarpus (Pastern): Short, massive; almost straight viewed from the front and the side. Forefeet: Large, rounded in shape, well arched, well-knit. HINDQUARTERS: General appearance: Viewed from the rear straight, standing parallel and moderately wide. The stifles and hocks sufficiently well angulated when viewed from the side. The hindquarters should not be set too far back. Thigh: Broad, well muscled, moderately long. Stifle (Knee): Sufficiently well angulated. Lower thigh: Broad, well muscled, moderately long. Hock joint: Broad and lean, sufficiently well bent; firm, turning neither in nor out. Metatarsus (Rear pastern): Not long, massive; almost straight viewed from the front and the side. Hind feet: Large, rounded in shape, well arched, well-knit. COAT: Hair: Straight, coarse, stand-off coat with well developed undercoat. The length of guard coat as well as the undercoat should not be less than 5 cm. The coat on the head and forelegs is shorter and thicker. The tail is completely covered with dense coat and looks thick and furry. The longer outer coat forms “brushes” on the ears, a “mane” around the neck and “trousers” on the back sides of the thighs. SIZE AND WEIGHT: Height at the withers: Males: Desirable height 72-75 cms; Minimum 68 cms; Females: Desirable height 67-70 cms; Minimum 64 cms. Larger stature is accepted, as long as conformation is harmonic. Weight: Males: Minimum: 50 kgs; Females: Minimum: 45 kgs. SEVERE FAULTS: • Too light or too coarse in built. • Lack of self-confidence. • Deviations in the sexual dimorphism. • Head small in proportions to the body; light; narrow; long; coarse; blocky or apple head. • Abrupt stop. • Muzzle: downfaced; dishfaced or snipy. • Teeth too small; widely spaced; incisors not set in one line; any deviation from the dental formula (except for absence of the PM1s). • Insufficiently marked cheekbones. • Eyes large; bulging; very light; showing haw; slack eye lids. • Ears large; thin or set too low. • Top line roach or sway back; long, sagging or arched loin; rump higher than the withers. • Body square; too cobby; too long; narrow in both front and rear; too leggy; chest very short, flat or shallow; croup short or steep. • Stumped tail. • Weak bone; muscles and ligaments in joints. • Lacking correct angulations. • Bowed forearms. • Unbalanced movement. • Lack of driving power in the hindquarters. • Coat that is very soft; curly; has very short guard coat or no undercoat. DISQUALIFYING FAULTS: • Aggressive or overly shy dogs. • Any dog clearly showing physical or behavioural abnormalities shall be disqualified. • Any deviation from the required bite. • Incompleted dental formula (absence of any tooth except the third molars (M3) or the first premolars (PM1s). • Entropion. • Wall eyes; deep blue; green shaded or eyes of different colour. FCI-St. N° 328 / 02.03.2011 8 • Docked tail. • Constant pacing or impossibility to assess the gate. • Black colour in any variation; solid; diluted; piebald, spotted or as saddle (except for mask). • Genetic blue colour in any variation or nuance. • Bluish-grey pigmented nose, lips and eye rims. • Genetic brown colour in any variation or nuance. • Genetic brown nose, lips and eye rims. • Tan-marking in black, blue or brown dogs. • Height below minimum. • Severe deviations in the sexual dimorphism in males. N.B. : • Male animals should have two apparently normal testicles fully descended into the scrotum. • Only functionally and clinically healthy dogs, with breed typical conformation should be used for breeding. Click Here to Learn about breeder background checks on Caucasian Shepherd Dog breeders if you are looking for Caucasian Shepherd Dog puppies for sale. Click Here to learn how ResearchBreeder.com can help you find healthy Caucasian Shepherd Dog puppies for sale. Click Here to order a Breeder or Kennel Background Check on Caucasian Shepherd Dog Breeders that may have Caucasian Shepherd Dog puppies for sale. Click here to find the national breed club for Caucasian Shepherd Dog puppies for sale. 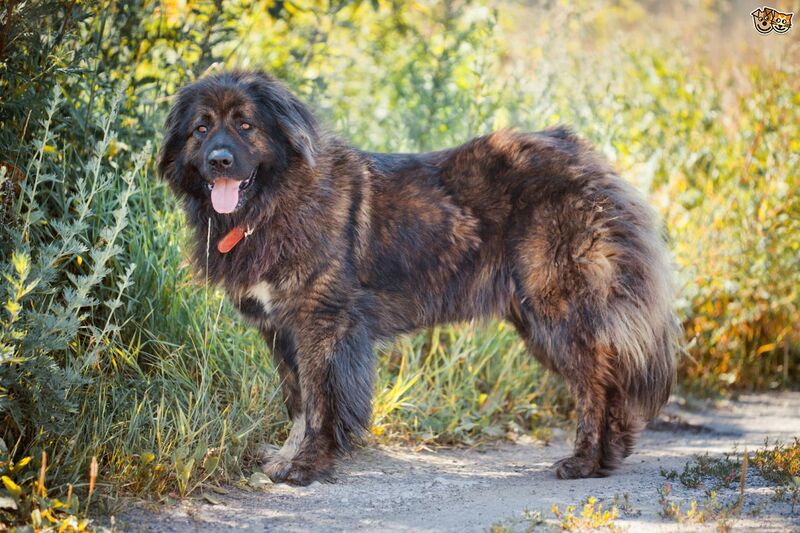 Click Here to purchase a list of approved ResearchBreeder.com Caucasian Shepherd Dog Breeders who have Caucasian Shepherd Dog puppies for sale.